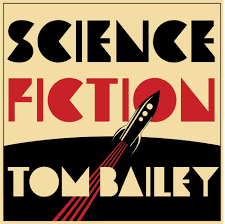 Sparkling circuits of synth and electronic sound effect inflate the madness of Tom Bailey’s new solo release Science Fiction, set to unveil July 13. Simultaneously captivating and compelling, like in many cases of madness, the brilliance is evident. Well suited for the turmoil of our Information Age, this is a geographical album, stemming from Afghanistan to Mars, reading like a map of uncertainty. Although the album has that magic flavor of 80’s nostalgia we all loved via The Thompson Twins, the lyrical messages are relevant for today. Although this is the first solo album ever for Tom Bailey, and the first pop music release in 25 years, he said in a recent interview that it felt comfortable and he was enjoying it. The lead track, Science Fiction, immediately catapults you musically back into the 80s, instrumentally, comfortable and warm as if one were seeing an old friend whom you once loved. However the lyrics speak differently. The song was written from the standpoint of a frustrated lover who’s partner was so engrossed in the hobby of reading books of science fiction, that it was impossible to get their attention. According to Bailey “it’s kind of looking out to space to the stars thinking what can we learn from the wider perspective and imagining the truth out there”. Come So Far, the last track, and my personal favorite, a story about a guy who tried to make it from Afghanistan to London. If he doesn’t leave Afghanistan he will die. Aside from the material things he has to give up, he faces the prospect of leaving his culture, his family, and his emotional life. The song is haunting and the message disturbing but the track as a whole is awesomely brilliant. Some tracks, such as Ship Of Fools, project a more jazzy, funky zest, while others like Work All Day, are full out rock. However the entire album is a vast reminder of the music of the Thompson Twins, and what Tom Bailey accomplished then, and certainly accomplished now. The songs are a work of creative art, and the production of the album is one of the best I’ve heard. There’s a air of excitement and when first listening to the album, that is quickly replaced by total addiction and a need to hear it again and again. Tom Bailey can be found online here and also on Facebook and Twitter.